Photo credits: HE Rybol in Germany; book cover art (both supplied). For her column this month, transitions enthusiast H.E. 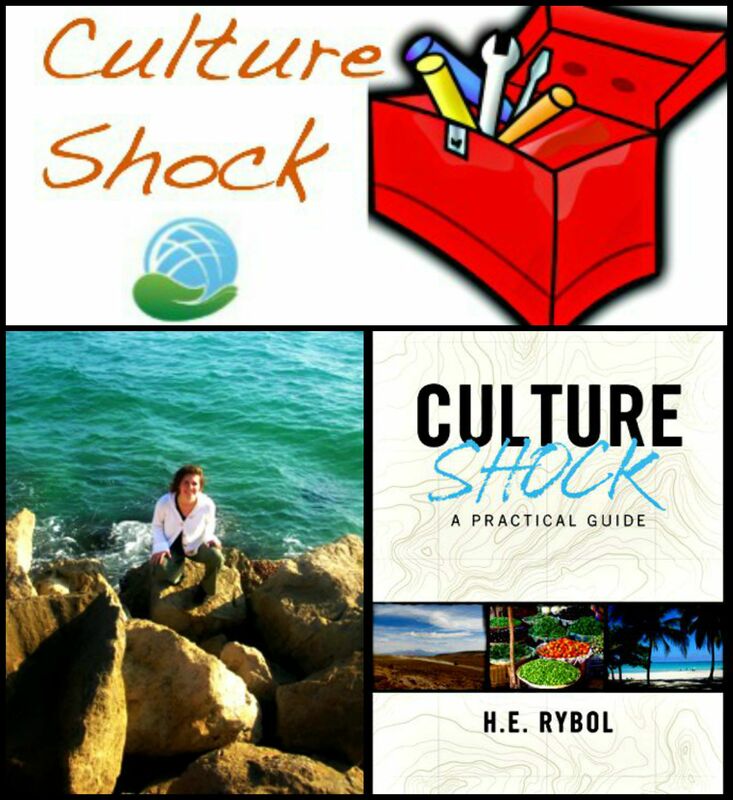 Rybol presents some of the material from her book, Culture Shock: A Practical Guide. For those who are new to her column, H.E. is the product of a German dad and a French mom. She was raised as a Third Culture Kid and has lived in the United States, Luxembourg, England, Spain, Switzerland and Singapore. She currently resides in Luxembourg. Hello, Displaced Nationers. This month I want to take you into the (sometimes too rapidly beating) heart of culture shock. If you are a regular reader of this column, you’ll know that for the past few months I’ve been quizzing expats about their experiences with culture shock so that I can add to, as well as sharpen, the tools for easing the condition that I’ve collected in my so-called culture shock toolbox. This month I’m going to share a few ideas that you can find in my book, Culture Shock: A Practical Guide; but first let’s do something to put us into a culture-shocked state of mind. To that end, I’ve devised a quiz based on one of my own experiences. Photo credit: Marina Bay Shoppes, Singapore, by David Jones via Flickr (CC BY 2.0). When we go into culture shock, we are in free fall. Having exited from our comfort zone, we are stripped straight down to our core. 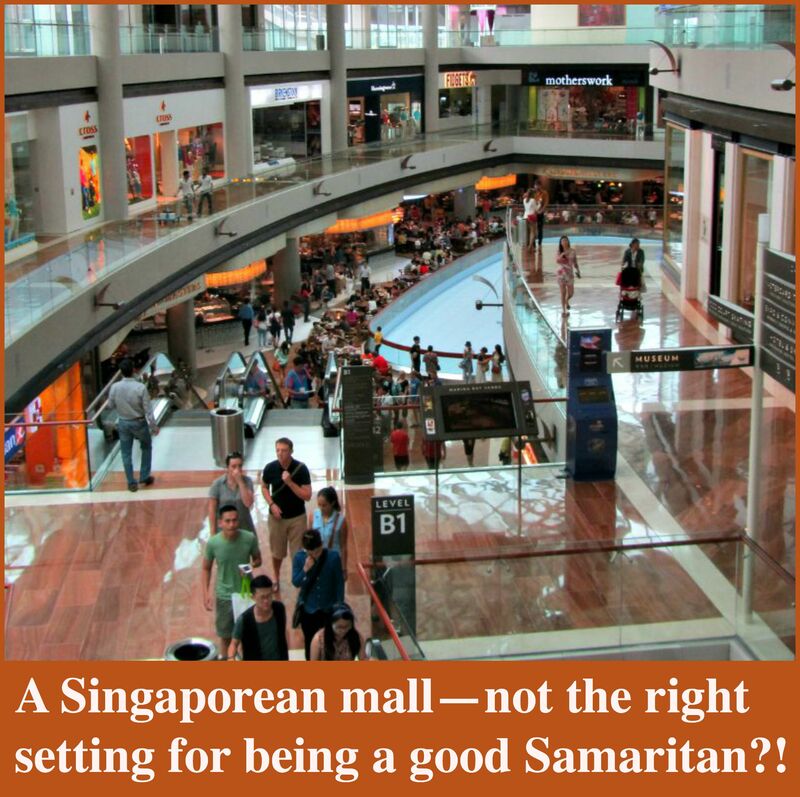 Oftentimes we lose confidence in our ability to meet the most basic needs: What do I eat? Where do I sleep? Who do I connect with? Where do I belong? Will I be safe? Cognitive dissonance is a big part of the problem. Our ideas and the reality we find sur place don’t match—which can feel threatening. But leaving our comfort zone also propels us into a moment of accelerated growth. As we slowly begin to make sense of all the new sights, sounds, smells, tastes, textures—and interactions with others—we expand our minds to incorporate new perspectives. There is potential for us to learn compassion, kindness and gratitude. The experience may feel raw—but it can also be exhilarating. 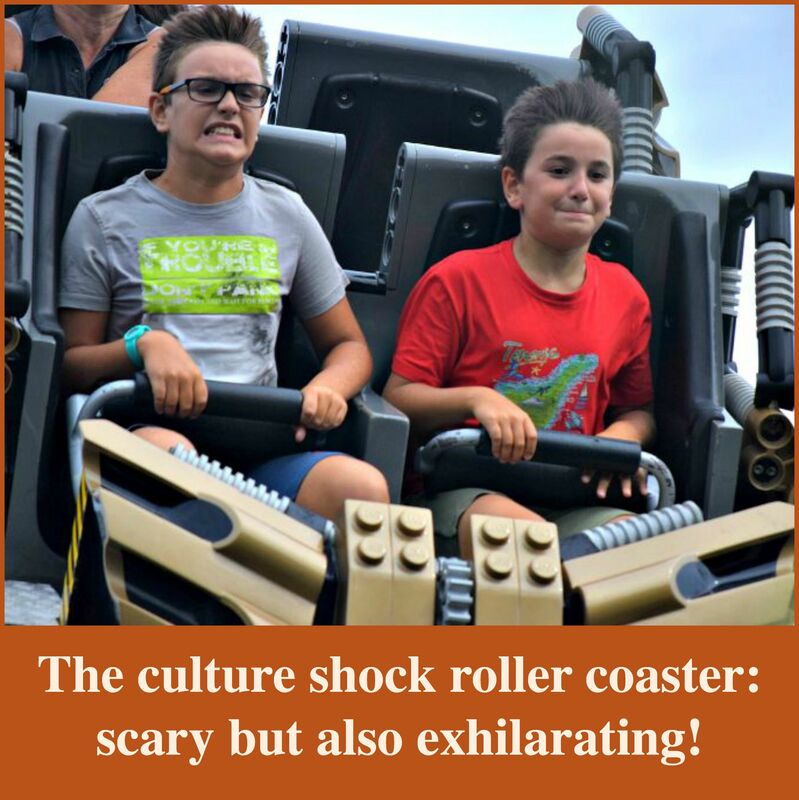 Photo credit: Legoland roller coaster in Denmark,via Pixabay. Some of you readers should know me well enough by now that you can predict the next step: I can hardly wait to open my toolbox and offer you some tips for achieving this potential for growth. How have challenging cultural transitions positively impacted my life? 3. Communicate: “Please”, “thank you”, and a smile go a long way in someone else’s culture. Learn some basic phrases in the new language before you take off. For sure, a small phrase book, pocket dictionary or app ought to be in that toolbox. While you won’t end up having an in-depth conversation about political or social issues right away, at least you’ve made a start. Also, given that most communication is nonverbal, don’t be afraid to use your hands and feet—always fun no matter how clumsy it might feel! Find out about body language. What’s the polite way to hail a cab? Beckon someone to come over? Is it rude or polite to look someone directly in the eyes? Observe. 4. Slow down: Treat the fact that you are entering a new culture as an opportunity to slow down and take it easy. Take time to adapt and go of any preconceptions. Think of this tool as a pressure valve: open it up and let go all of that stress and pressure out. Don’t force yourself to visit as many sights as you can—even if you feel obliged to do so. The point is to enjoy yourself, isn’t it? Allow yourself time to fully experience this transition. Mostly, though, I’m grateful for the kindness of strangers, conversations I had with people I met along the way, friends I made, lessons I learned—and the privilege of having had the opportunity to experience all this in the first place. As often as possible, use the tools you have at hand to open your mind to the good things that surround you. Readers, I hope this has you “fixed” until next month. Until then. Prost! Santé! STAY TUNED for the next fab post.